Diving Koh Lanta with us, we are a PADI 5 stars diving center based in Sala Dan on Koh Lanta Island, Krabi, Thailand. Are you ready to start the best diving experience with our faster boat e best thai crew? Our small groups trips is the best solution! In this way you can enjoy better your Diving trip , Snorkeling, Freedive immersion or boat chartering. The team will take you to our beautiful dive sites and make sure you will see everything there is to see around Lanta island, thanks our knowledge gathered through a long experience of the whole tropical aquatic life and local geography. We are Koh Lanta PADI 5 star Dive Centre. We offer highly trained instructors and small teaching groups. Koh Haa, Hin Deang and Hin Muang are the best dive sites in Thailand. Be a witness of such a beauty! Beat the crowds with our fast boat. 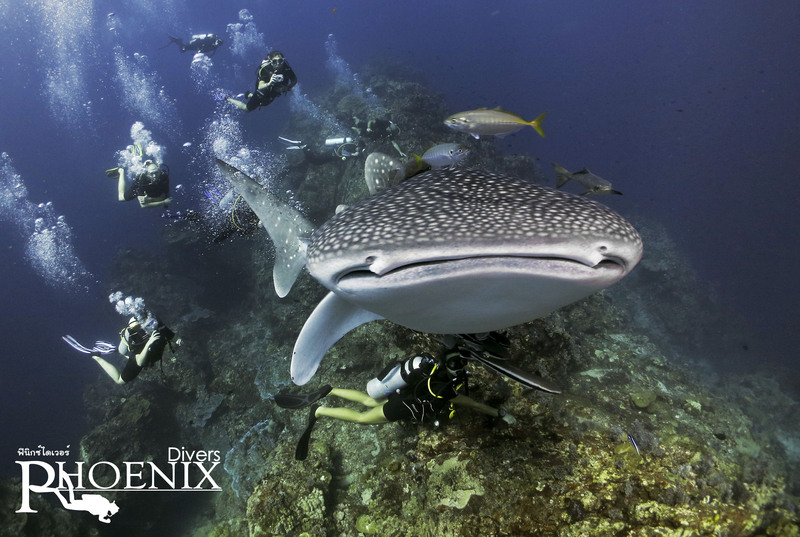 Established since 2002 Phoenix Divers Koh Lanta is run now by Barbara and Daniele who have many years in the diving industry. Their experience is gathered from diving all around the world: Maldives, Mexico, Red Sea, Philippines, Italy and, of course, Thailand, therefore you cannot go wrong. We will greet you in our Dive Shop in Saladan and make sure you will visit the best Koh Lanta island dive points. We offer all PADI dive and Freedive course and our Dive Center is a superb Mares Retail Shop, with everything you need to dive and snorkel. …to give you a truly great Koh Lanta Diving experience with best staff ever: guaranteed! Here are the latest testimonials from our customers, please follow the link to read more. We appreciate all feedback to constantly improve our business and provide the best possible service.